inBOX25 is an automated social and email marketing solution. Deep integration with SugarCRM and low overall cost were the primary reasons we chose Inbox25 over the competition. Minimal documentation available. Had to rely heavily on their consulting team but once you get the hang of it you can do some amazing things with the software. If you're using SugarCRM you need to seriously look at inbox25. If you're using Salesforce.com you should also consider the product. It's about half the cost of competitors and it works really well. You just need to make sure that you really work well with the consultant during the implementation as there is not much in the way of documentation. Otherwise, it's a great product and is doing everything for us that the more expensive products promised they could do. Less complex companies could implement this in a matter of weeks. Our implementation took longer as we have three distinct parts of our business that forced us to rethink how we implemented the software. While we've only used the ProMarketer product (marketing automation) for about a year - we have used Inbox25 as an email platform for nearly 10 years and rely on them every day to help us get our messaging out to clients and prospects alike. We are very close to fully utilizing the entire system including integration with Gotowebinar, LiveChat, and bringing all of our sales reps on board to view marketing information from Inbox25 from within Sugar CRM. Nurture email marketing and lead scoring. We are now able to easily segment our CRM database, setup and manage drip marketing campaigns, and understand which contacts are better prospects based on their activity - website and email interactions. The training and onboarding sessions provided were extremely helpful when learning the new platform. Alex and the team were always quick to respond and walk us through any questions we had. Since we were switching from a different automation platform, it took some getting used to the new platform, but overall it was pretty easy to use and take advantage of the features offered. There are some more advanced automation features that we would like to take advantage of, however, we've struggled finding a simple way to implement these in Inbox. Some of those features include time base lead scoring, complex automation (branching), and custom task assignments (users and custom start/due dates). While these have made a few things more difficult, Alex has been very receptive to considering some of these for future releases and updates. Try it out and look through the different features to make sure it works for your goals. We're able to continue setting up automation campaigns and send out our email communications to customers pretty easily. "Amazing integration and fantastic customer service"
I cannot thank Alex enough for his amazing support. He is very patient and provides such detail for every question that I have, every time, that makes me feel confident and delighted to have stayed with INBOX25 and gotten automation from them. The online support has been great too on the rare occasions that I have used it. Now, about the software! I like quite a few things, best! Can I even say that?! Well, I have been using INBOX25 for a couple of years now and I like how well it is integrated to Sugar CRM. It is very easy to use and I enjoy designing/creating email templates! I also like creating forms/landing pages so that visitors to our website can submit their details before accessing our highly technical papers. It is amazing to see the interaction of all our customers/leads with our emails/website/content which helps with understanding their needs better and cater for their specific areas of interest! I also like scheduling my twitter posts! I only wish I could schedule LinkedIn posts on our company page as I do for twitter! I also wish that I could generate reports on individual's activities by one click! At the moment I have to copy and paste the information, particularly the web pages that one individual has visited, into an excel sheet and find it rather time consuming! If INBOX25 integrates to your CRM, I would highly recommend it. They still need to make improvements which they are constantly; though a great option if you are just starting with marketing automation and economically sound! We meet new people at exhibitions/conferences who may not be ready to get engaged and purchase software from us. By sending regular email newsletters, I provide them with technical information and monitor their activities over time. Once I notice an increase in their interest in our content and regular visits to our website, I pass on their details to the sales team to touch base which most of the time leads to new businesses. We were looking for an all-in-one marketing solution that would allow us to build landing pages and email all of our clients. Because of data structure, integrating with a marketing platform presents a significant challenge. Thankfully the team at inBOX25 took the reigns and made the integration and transition almost seamlessly. Their hands on support, specifically Alex Borack, and their on-boarding process is the best I have dealt with and couldn't recommend them more for this fact alone. The software works as advertised. There's not much to dislike. My only complaint would be that landing pages must capture an email address. We're not always looking to capture leads through landing pages and sometimes use them for informational purposes. If it meets your needs then it's the right choice. Email marketing, web page monitoring, tracking, SMS messaging. "SMB using Salesforce in need of an affordable email/marketing automation solution? PROBLEM SOLVED!" I have to admit I was a skeptic after using Marketo at a larger company and having a painful experience trying to use inbox25 with SugarCRM, but since we've switched to Salesforce for our CRM , and the recent Saleforce integration enhancements have been made, I am sold. But that's not even the best part. What has really sold it for me is the support. Wow! I just have two words for you -- Alex and Brandon. They are tech rockstars!! The only real issue I've had is not being contacted about recent changes, but when I followed up to find out more, the team rose to the occasion. I'm sure they will adjust their product roll-out strategy to inform their customers about changes in advance, in the future. We have cut the time it takes to create an email campaign from ~ 2 hours down to less than 15 minutes. This is a huge game change for us, because we are a small company, and email campaigns are just one part of my job. We are looking forward to leveraging more of the features to be able to do triggered (e.g., automated) email campaigns based on events in Salesforce to improve the customer journey for our customers. "Great experience with Inbox25 a hugely useful tool with consistent support"
The logic behind Inbox25 is sensible. The action it performs perfectly suits our application of the platform. It's seamless integration with our SugarCRM has been important and something that went very smoothly. The platform has allowed us to be more accurate marketers and ultimately provide a better service for our customers. The consistent support we have had has been immensely helpful, knowing we can call or email at any point and resolve any issues promptly is a great reassurance. I wouldn't say it is a dislike. But it does take a little bit of time to get used to the navigation. But once this is understood it is fine. We have become smarter marketers. We are more aware of our customers through targeting marketing. We mainly use the automation and email marketing side, but as we start to gain more data will be implementing lead scoring. The segmenting tool is hugely helpful and has allowed us to create tailored content. "Excellent Automation Platform for SugarCRM"
INBOX25 doesn't just work natively with SugarCRM – it actively expands on that system's already impressive functionality. We use it exclusively within SugarCRM itself; as far as we're concerned, it's simply part of that system. There are no awkward handoff points or touchy integrations ... it just works. The purely aesthetic elements of the UI – fonts, colors, icons – lag a bit behind other enterprise automation platforms we've used. User permissions are a bit awkward to set up. Slicker integrations with Gravity Forms and Contact Form 7 would be a plus for a WordPress shop. We use INBOX25 for traditional marketing automation processes – lead scoring, nurture flows, drip emails, etc. – but we also use it as a BPM engine. It's great for automating just about any task dealing with SugarCRM leads. Being able to keep everything in one system is a tremendous time- and effort-saver. "Great integration and easy to use. " Its so easy to learn & use! This is my first time using a tool of this caliber and its been a pleasure working through and learning the functionalities. The integration into SugarCRM makes its super helpful to have everything in one spot. The customization and automations are easy to set up and use. We've been able to save money, by doing campaigns in house with the easy to use templates, rather than paying a designer. I appreciate all the support we've received from James and truly feel like he cares to make this work in the best ways for us as a company, rather than to provide general support. So far I haven't found anything to dislike. Simply, just use it. I've used other CRM integrations and my overall experience is just excellent. We have created automations in Inbox25 via our website that has saved us time and embarrassment. Prior to Inbox25 our auto responses lacked content, important information for follow up and simply customization. We've also been able to start a Marketing e-mail program that communicates with our CRM database. It has saved us money on designing and hosting of data. Everything is in one spot now. The features and reports have created excitement within our sales staff too because they see it working and driving business. I'm excited for what else Inbox25, together with Sugar CRM, will do to help create a more automated world for us.
" System functionality and service 2nd to none "
I really love the integration with our sugar CRM system. Another significant advantage of in box 25 is there kickstart program and their commitment to us as a customer/partner. Strong integration an outstanding service make a difference. I found the learning curve to be a bit long, however; this is offset with the kickstart program and the ongoing follow up with the service team. Our account representative/service representative is very knowledgeable of the sales process and marketing automation. I really have no complaints. Very strong sugar CRM integration. I am unfamiliar with other CRM systems, however; my experience with inbox 25 has been outstanding! Our company is used old fashion manual data entry marketing techniques for 34 years. With automation from inbox 25 we can now streamline processes speed up the cell cycle and provide a better customer experience. "Complex yet easy. Excellent integration." So many features for an excellent value. Seamless integration with CRM. The Inbox25 team is very easy to work with, helpful, knowledgeable. We're still growing our use of the system and exploring the latest updates that will take some work off our plates, like marketing to entire accounts instead of by users. The workflows are thorough and with plenty of options. The design interface is good, while our marketing designer can also use whatever he wants to assemble emails and Inbox25 can use his work. The analytics are insightful too. Can't think of anything. There's definitely a learning curve to a product with so many features, but the Inbox25 team makes it painless. Definitely worth a try. Do spend time asking questions of their team, who know their product very well and can help you realize the best ways to use it. We can do more with it than our last system, for automations and visitor tracking, plus some custom code. We have more visibility to customer activity, and better ways to stay engaged and reach out. "Best Solution to Creating Complex Email Automations"
There are a couple of things I like best about InBOX25. First, the product itself is outstanding. Since we got InBOX25 to integrate with SuiteCRM, I have been able to dramatically save time an effort in sending out timely emails and having data tracked in our CRM. Secondly, I must commend the InBOX25 Team who are great to work with. They have been very accommodating and prompt to answer all my questions. I'm not much of a techie so their approach to teaching me about the system was easy to understand. Although the team can create automations for you, I have been empowered to learn the system and eventually have the confidence to create customized automations with less supervision. At first attempt, creating a complex email campaign can be intimidating, but that's just part of the learning curve. It does take practice and testing to get it right. The possibilities with InBOX25 seems endless. I only wish I have the time and need to utilize this to its full potential. I have worked with other automated systems in the past and this is by far the best one out there in terms of product and service. I manage automations for recruiting purposes. Initially we needed to address a complex and systematic email communication process between myself, a recruiting administrator and the candidates. InBOX25 went above our expectations. Not only did they provide us with the solution, but it integrates very nicely with our CRM. Alex. Full stop. He was fantastic and such a huge support for us when it came to implementation and then a live experience. He really went above and beyond for us. The thing that really helped was also being able to play back the training sessions in our own time. We were learning while also launching a webinar so it was trial by fire but a great way to learn. It would be more around the landing pages (inflexibility). We are able to use InBOX25 with GoToWebinar and our SugarCRM which is great. Having systems talk to each other and give us analytics is incredibly important for us to understand how we are tracking and the success (or failure) of our activity. "Highly recommend Alex and the team!" It's been great working with our account manager Alex, who has given top-notch support and advised on how to maximize usage of the platform. Despite data problems at our end, Alex has been very helpful in finding solutions that ensure we can still deliver initiatives, as well as providing extensive training. Inbox25 is the company's first try into marketing automation. It was chosen because of its close integration with Sugar CRM. We are able to set up smarter campaigns and track marketing metrics. My favorite thing as a developer is that they give us a codebase to work with, but I am able to customize it to do what I want with it. For example. If I choose to redirect the user after a submission, I can do that. Or if I want an Ajax loaded message to appear on the page, I can do that. I'm not bound by options that are set, I can make my own, and I very much appreciate that from a lead catching software. Sometimes the Page Builder gives me trouble. Hovering over the menu's by accident, many times I have accidentally clicked out of a form page I was working on. A "Did you mean to leave" alert or something would be awesome in there. Just a feature request, definitely not a deal breaker at all! It's a great piece of software that you'll be happy you started using! We're able to track who is looking at the page, and do they convert. If we aren't getting people to the page, that's an issue as a Digital Agency. If we're getting people to the page, but they are not converting, we might need to look at the design, or how many questions we're asking them, or what about the form seems too hard to track. We're able to pretty much see all of that as reports, and be able to better update our code so that the user is most likely to follow through, and then we can catch their email, and market to them more effectively. "Inbox25 Has Definitely Improved Our Value Proposition"
I like the ability to create landing pages/forms for clients to download white papers. It notifies you immediately when a white paper is downloaded and gives the person's email address, name, etc. This has helped us determine who some of our most engaged people are. I like everything about it. Very difficult to say, as it is easy to use and the support is very dependable. Use the Automated Campaign manager to create content streams that you can just "set and forget". It is pretty awesome. The analytics piece that comes with Inbox25 has removed the "wall" so we now know the exact people who are opening emails, clicking on links, etc. This has revealed true traffic numbers to the website and blog, etc, and shows where work is needed. "Excellent marketing automation platform for suiteCRM"
INBOX25 is great, first of all, the integration with CRM is excellent and painless. Second of all, the UX and UI of the platform allows the user to have a very intuitive and pleasant experience while working with it. Third of all, The platform has so many features that allows the user to create the perfect e-marketing campaign in the easiest way possible - In just a few clicks I’m able to have an email campaign ready to send to all my target lists with the ability to analyze their activity and see which emails are influencing leads and revenue in real-time. Automating an e-marketing campaign has never been so easy - building robust automated marketing workflows is simple and very straight forward, the Automation feature allows me to connect landing pages, forms and email campaigns with our CRM data in a linear workflow with the ability to have as many actions and conditions as I want between them, this Automation feature makes the task of syncing the marketing department with the sales department more manageable and less painful with a greater potential to grow our business. The interface takes some time to load but it’s understandable since it’s always syncing with our CRM. I can’t think of anything else. We were looking for an email marketing solution platform but we end up with so much more! INBOX25 offers better ways to stay engaged and understand our customers’ behaviors. We have been able to easily implement automated workflows and email campaigns while also managing day-to-day email activity. "Exceptional support / Native integration with SugarCRM / Easy to use"
What I appreciate most is the never-failing knowledgeable support that Inbox25 provides. From evaluating the system and integrating it with SugarCRM to creating automated campaigns -- all of this was accomplished quickly and easily with the constant friendly help from the Inbox25 team. I highly recommend taking advantage of Inbox25's Kickstarter packages. The package included multiple training sessions for myself, other members of my team at our marketing agency, and members of my client's team. Each session was customized for our different roles and needs. Furthermore, the sessions were recorded and shared with all attendees. Additionally, the package included setup of nearly all our automated campaigns, including help with creation of landing pages, forms, and email messages, as well as testing and troubleshooting prior to launch. All my questions and any issues encountered were quickly addressed by the Inbox25 team. I can't recall when I've ever had such great service from a vendor. They helped our agency meet all our marketing objectives and deliver a stress-free, seamless experience to our client, who also is very happy with the system. If I had to choose something it would be small aspects of the interface that are a little clunky. But these are outweighed by the fact the interface is intuitive and simple to use. If you have SugarCRM, you can't go wrong integrating it with Inbox25. I've worked with other marketing automation platforms, and Inbox25 is one of the easiest and straightforward I've used. There is a learning curve, as others have noted, but it is a small one, especially with the help you receive from the Inbox25 team. No waiting in long phone or chat queues. I call or email my account rep directly, and he is always there to help. I am a digital strategist with a marketing agency, and my role was to help select, onboard, and implement several campaigns in a marketing automation platform that integrated with a B2B client's SugarCRM and website. I recommended Inbox25 to my client because it is native to SugarCRM and met all our project requirements, but the tipping point was how exceptionally helpful and capable the staff is. They feel like a member of my own team, and I know I can depend on them. I also was pleasantly surprised how quickly the integration between Inbox25 and the CRM was accomplished and how easily we can sync data between the two. I also appreciate the smart features of the system like the ability to create content streams for newsletters. The ease with which you can drop code for forms into a website and push data through Inbox25 to send automated responses and then into the CRM is so effortless. "Incredible customer service and easy integration with Sugar"
Inbox 25 makes it easy to send emails to my target lists in Sugar. The integration is great - in Sugar I can see who was sent what mailing, if they opened it or if it bounced. I've never had a problem with Inbox sending to the right list - it's pretty straightforward. If you want to send to a list that you import that isn't in Sugar, you can do that, too. I like that flexibility. But really, one of the best things about Inbox 25 is their customer service. We've been working with them for a number of years - at least 4-5. The whole time, I've been able to reach someone to help me either instantaneously or within an hour or so. This kind of rapid response time makes all the difference to me when I'm on deadline. They've been a life saver a couple of times when a really important mailer needed to go out. The staff are all friendly and knowledgeable about their product. I actually enjoy chatting with them! I wish there was a way to have Inbox recognize the bounceback and non-deliverables and automatically erase them from the list. This is a scrubbing function that is difficult to do in Sugar. When I go to email, it requires me to have about 10K more credits than I need. Sometimes I have enough credits, but my list just isn't scrubbed. If somehow Inbox 25 could recognize the actual viable emails in the list based on the last emailing, that would save me incredible amounts of time and sometimes get the mailing out on time so I don't have to wait for more credits. However, as I mentioned, the customer service is amazing and they have been able to help me so my emailings are never late. If you have Sugar CRM, take a look at Inbox25! My role as Marketing Manager at CTL requires me to communicate frequently with our customers. I am in charge of several email newsletters and I need to send them efficiently and on time, with trackable results. And my email program has to integrate with Sugar. Inbox 25 meets all of the criteria needed to solve my email marketing objectives. "The best direct integration marketing automation for SugarCRM"
Great team of people deploying a solution that cleanly integrates with Sugar/SuiteCRM, we're especially thrilled about inbound lead management for content campaigns + outbound email management for sales teams, it's a clean way to keep SugarCRM as the center focal point of our CRM efforts while still making up for some of the deficiencies of that system. Future steps in the system are features to be used so there is a lot of room for us to grow in using it. Do IT! You won't regret it, even if you move on to another platform you'll learn a lot about marketing automation in a relatively risk free way. I highly suggest it. Outbound sales campaign automation, Sugarcrm integration for email campaign automation and call cadence automation. "The Many Benefits of Marketing Automation thanks to INBOX25"
INBOX25 is an all inclusive marketing automation software suite. We can use it to accomplish a single task or to facilitate an integrated marketing campaign. The Integration with SugarCRM is of significant benefit to us and from our perspective it's been seamless since the 1st day we started using INBOX25. We use SiteMonitor, the Automated Campaigns and the email creation tool the most but we recognize that there is so much more we can do with INBOX25. I love being able to monitor the success of our various automated campaigns with the reporting capabilities. It's very beneficial to have the real time dashboard showing the results of our campaigns as they are running. The staff at INBOX25 provided us very practical and targeted training on the features we felt would benefit us the best. Once our training ended, the INBOX25 support team has addressed every question and provided above excellent support. There's so many capabilities! I'd like to have more time to devote to using INBOX25 to drive automated marketing campaigns but as a small marketing organization we are pulled in many directions. Go for it! INBOX25 is a great platform for all your marketing automation needs. We started out looking for an Email Marketing solution but found so much more! INBOX25 does give us a great toolset for building awesome emails but the other features of the platform are equally as impressive. Site Monitor allows us to monitor the activity on our website and provides great insight on our web traffic. The reporting tools provide a booth a visual and analytic perspective on the success of our campaigns. The Automated Campaign features allows us to selectively target our campaigns for the specific prospects we are interested in reaching. The integration with SugarCRM is what really makes INBOX25 so beneficial to us! I couldn't imagine having SugarCRM and not having INBOX25. "Accelerate Sales and Generating New Deals Seamlessly with Inbox25"
We had a wonderful experience with Inbox25 and our customer support representative, Alex. From his attitude and enthusiasm to his knowledge and experience with the program, Alex proved to be the perfect support representative. Whenever we would send him a message or request his insight, he would always respond in a very timely matter and have an easy solution for us. Even if some functionality in Inbox25 was missing for what we were aiming to do, Alex always found a solution or a work-around that would be successful for us. Platform sometimes takes some time to load, but it's understandable since Inbox25 is constantly communicating with our CRM and storing so much information, including data that is constantly being updated. Definitely reach out to your representative at Inbox25 and leverage their outstanding support! It's there for a reason and they have an incredible support team that follows up quickly with helpful responses and resources, so take advantage! It definitely made everything easier and more efficient for us. Best support we've ever had! As a whole, Inbox25 allowed us to take a deep dive into marketing automation and fill the holes in our CRM. Once we integrated Inbox25 with our CRM, we were able to seamlessly and efficiently send professional looking emails to customers based on unique characteristics (e.g. their location and product needs), manage and track lead activity, update records in our CRM based certain conditions, receive real-time alerts, send a series of follow up and lead nurturing emails based on lead activity, view real-time opportunities created by our automations, generate reports and much much more. I think the feature of Inbox25 that our company benefited from the most was having the ability to identify hot prospects and know when to reach out to them at precisely the right time. Once we implemented Inbox25, we noticed a huge increase in opportunities created from our lead nurturing campaigns, as well as in sales as a whole. Our customers continue to comment on how professional and informative our emails are, and how responsive we are to each of their inquiries (little do they know, thanks to Inbox, majority of these responses are all automated!). As a whole, Inbox25 greatly simplified our sales process and helped to drive revenue for our company. This was definitely a great investment and we will continue using Inbox25 to accelerate our sales and generate new deals without breaking a sweat. You talk to one person on their team that will become intimately familiar with your needs and not trying to fit a cookie cutter solution across a variety of industries. Once we engaged their professional services team, our assigned representative has been extremely helpful and engaged with understanding our business and assisting with strategy and implementation. Open to our business model and willing to offer suggestions and alternative views to improve. It took too long for us as the client and them as the supplier to understand each other and determine that professional services was required for us to succeed with Marketing Automation. For your first experience with a marketing automation software, Inbox25 should be a consideration. If you are a small business and don't have marketing automation personnel, I would highly suggest enlisting in Inbox25's professional service package to receive personalized attention and setup to get going. They have a good support team once that package is engaged. We are improving our overall customer touchpoints and integrated our communications more effectively. We are segmenting, organizing, and providing relevant content to our customer base more consistently. "High value marketing automation solution"
The inbox25 team have a deep knowledge of SugarCRM and real world experience in implementing practical automation solutions. Amazing support team who are always on hand to assist us with set up, implementation and on-going development. Dedicated account manager to assist our team with any aspect of implementation. Very patient with on-boarding knowledge to our team. Nothing is too much trouble. The real time metrics are incredibly useful and provide added insights. Constant improvements being added to the system. Initial integration took a little longer than expected to set up due to the complexity of our CRM set up but once it was up and running everything worked perfectly. Inability to customize alert emails for our specific requirements (although we have been advised that this feature is on the product road map). How to increase member sign up rates through use of a consistent set of marketing automation workflows (has resulted in a direct positive impact on revenue). We are developing a much more detailed understanding of our customer’s purchase behavior and decision making process. Initial implementation of marketing automation workflows is opening up new opportunities to implement new processes to increase member yield and retention. It's great having the flexibility to create different automations, each one tailored for the specific type of communication you want to have with a user, account or prospect. Allows you to identify and reach out to the people you really need to engage with at the right time. Great tool and great service, always prompt to respond when you need any help. Landing page builder is ok, but could be a lot better. Sometimes we end up using a different platform for building our landing pages. Read the FAQs and reach out to support when you need help, they are always there in case you need them. We are using it to manage our free trial workflow. Allows us to keep users engaged during the free trial and identify those who have higher potential of converting into paying customers. 1. It just works. Inbox 25 sends emails when they need to go out, and it tracks the data changes that happen in our system. Because Inbox25 runs on its own server, it doesn't rely upon the available processing power of SugarCRM to execute tasks. Thus, it can dependably sync 300,000+ leads and send out 40,000+ emails because it has a stable amount of dedicated computing resources. This is an enterprise-level production. 2. Inbox25 Support = Helpful Engineers. Filing a support ticket puts you in touch with an engineer, and I was able to work directly with them to code logic hook augmentations to customize how SugarCRM sent their system data. Support is also on the ball and responds quickly. My ticket was answered at 9PM EST, fifteen minutes after I filed it. 3. This vendor has it together. Everyone knows how to use their product effectively and how it works. They follow up on emails and check in on support tickets. They remember deadlines and they help you meet them. Inbox25 is a well-run company. 4. Twilio Integration. Inbox25 has the best out-of-the-box Twilio integration for SugarCRM, and it is outstanding. Automating and tracking the returns of our SMS efforts has been a snap, and messages go out when they need to go out every single time. Cannot yet specify time windows for SMS send as we can with email campaigns. However, I have been told thas feature is in development, and I believe it. If you need a system that can process hundreds of thousands of leads, this is it. If you're tired of traveling from vendor to vendor with a string of broken promises about data sync, welcome home. Email and SMS Automation: We're still exploring all the ways we can add to the business logic we've already implemented for marketing. Reliable Automatic Data Processing: Inbox25's SymSync feature is robust enough that we can perform lead routing, status changes, and task assignment in the Inbox25 portal, and it works every time. "InBOX25 + Sugar = Sweet!" Flexibility. Once you understand the relationship between InBOX25 and Sugar there are any number of possible workflows, segmentations, and automations. At first it was a challenge for me to understand how InBOX25 and Sugar CE integrated and functioned together. James at InBOX helped me connect the dots here. If your CRM is Sugar or Sugar CE, InBOX25 really is the only marketing automation application to consider. The ability to feature email in our multi channel content marketing strategy. "Excellent marketing automation for SuiteCRM"
The ease of creating complex workflows that mean I can click a button and the system does all the hard work for me! The system has saved me so much time whilst allowing a much more effective email marketing strategy to be delivered. At first, getting used to the different types of lists was a little challenging. As with anything though, this became clear with practice and the syncing tools are pretty efficient. We have been able to deliver a better email communications startegy thanks to Inbox25. The automated workflows allow leads to be nurtured effectively without multiple manual interventions, which is a dream for a marketer with an intricate email marketing plan to deliver! "A Product that Allows Meaningful SugarCRM Interactions"
Availability of staff to help you complete tasks on a consistent ongoing basis until you know how to do it yourself, for no extra charge - the willingness to help and patience also make a difference! Real time metrics of campaigns (not static). Little non-working items on formatting dashboard - kinks of things not being the appropriate sizes or the same sizes as the boxes below (nothing major). Campaign metrics are campaign specific only - do not go across multiple campaigns (to my knowledge) to give you a company wide marketing analysis. Inbox has amazing features that other platforms do not - particularly in their price range. I really appreciate the integration and workflows with SugarCRM and SuiteCRM. We were using Act-on and decided to look for something more affordable and in doing so found Inbox25 which is so much more robust than Act-on in the way it integrates with Sugar. Act-on has a big selling feature of how great their support staff is - and yes it is - but Inbox25 will actually do the set up for you. That was a real selling point for me because I didn't have time to rebuild our sequences in a new platform. I'm sure that holds back others from switching. My recommendation - don't let the fact you have to rebuild stop you from upgrading your marketing automation, Inbox25 has great people to support you and actually do the work. Actually I haven't found much I dislike. If I have to pick something - I'd say it is a lack of folders in the email list - it can get a little overwhelming. I'll figure out a way to keep track of it though because the system is great. Check it out - I think you'll be please with the features and ease of use. One of the best parts of Inbox25 - you don't have to leave SugarCRM or SuiteCRM to use it - the dashboard is built in. We needed to automate a messaging string that had a number of complex if this, then that conditions. Inbox handles this beautifully and it also will update sugar fields based on responses in the email. We love leads! And we like to know where they come from and if they are converting into real business. 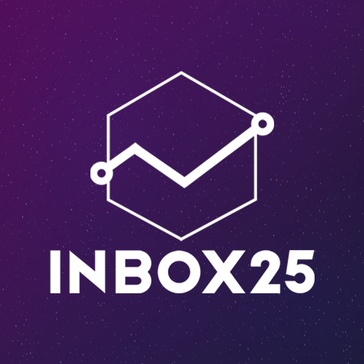 Inbox25 helps us generate leads using email marketing, automated campaigns and landing pages. Then it helps connect the dots from a campaign, to a lead, contact or account, and ultimately trace it to an opportunity. If you're a Sugar user, Inbox25 has a great integration with the opportunities module that shows you what you're getting from your digital marketing. The Sugar integration just keeps getting better and better. There's not enough time in a day to do everything I want to do with Inbox25. The only aspect of Inbox25 that is a little confusing is how the counts are generated by the system. However, it's never pre-empted me from doing any desired activity to any list or any type. Think strategically, not tactically, when you evaluate the platform. Some competitors may have a slicker, easier user interface, but don't have the reporting and integration capabilities that allow you to truly evaluate your return on marketing. If you're using SugarCRM, this is the best platform to consider. Our product category isn't growing by leaps and bounds, so we're very focused on using Inbox25 to take market share, generate new customers, and nurture existing customers so they buy more. We also use it to have more frequent communication with our distribution channels (and can see who is engaged and who isn't). We also send all of our press releases to media contacts using Inbox25. It's also a great vehicle for launching and introducing new products and generating sales leads for them. Perhaps the biggest change since we started using Inbox25 is we no longer send out our quarterly newsletter in hard copy. It's entirely sent using Target Lists and Marketing Lists in Inbox25. "Strong E-Mail and Marketing Automation Platform with SugarCRM Integration"
Inbox25 offers a nice, modern e-mail marketing interface with strong SugarCRM integration and valuable marketing automation capabilities. It has some excellent features. The system can be a bit buggy and live support is really not available. Support tickets are acted on and issues resolved but response could be faster. SugarCRM integration is strong and works well. Social media tools are a bit weak and there are better solutions for this. Inbox has other good integrations such as GoToWebinar which are useful features for our business as well. Ability to send beautiful e-mails to contacts and leads in SugarCRM with actionable data being returned to the CRM plaform. "Marketing Automation without the Headaches"
Intuitive workflow building, simple WYSIWYG interfaces, outstanding analytics. Alex and the team are outstanding! This is a powerful tool and the learning curve is challenging. The training is thorough and comprehensive. Having experience with Pardot and Marketo, I was looking for a simplified yet robust marketing automation platform that integrated with Sugar CRM. If that sounds familiar, Inbox 25 should garner your closest consideration. Prospect engagement and nurturing, lead scoring, and customer/partner communications. "Great Service and Sugar integration"
The 'kickstarter' program that inbox25 has with new customers is the best I've ever seen. You sign up and then get specific help to implement the service within your organization. The learning curve required when implementing a new CRM within the business. Lead automation is excellent, much time is saved when we no longer have to route leads or manage the lead lists. "Exactly what we needed, integrates with sugar seamlessly. " This program made all of our automation dreams come true, and the training process made the learning curve so fast and easy. I do not have a single dislike about the program or the training. We now have automated emails that sync up with our landing page conversions. We have made several sales off of old leads in our database by creating email campaigns around the. I like that I can send basic emails to different target lists of people, and my account manager can usually answer our questions within 2-3 days. We'd appreciate more features, e.g. ability to send videos, template colors, responsiveness, automation fields, etc. It is good software for sending basic, mass emails, but beyond that it could be much stronger. The software is a much cheaper option than many others, but you get what you pay for. If you're looking for basic email capability, use MailChimp [or another software] for great designs, responsiveness, countless templates, and great analytics. If you're looking for more in-depth automation, consider spending a little bit more and get what you really need. It's a good replacement for having an outside vendor create and send basic emails. "Integrated with Sugar CRM for marketing automation"
Great, powerful Marketo-like automation features, at a fraction of the price. Elegant integration with SugarCRM, with easy technical setup. Relatively difficult learning curve. Very powerful feature set, but found it hard to grok key concepts quickly. Use the system for lead capture from our website, drip marketing, lead scoring and periodic mailings to our mail list. "Inbox25 is beyond my expectations! " I love that customer support is always on top of their game. I can't begin to count how many times I've needed help with a process, or figuring out how to achieve a goal and turned to their AMAZING customer support team. No matter how big or small, they help me work through the process. I love that they are proactive too. When I come up with a question or problem that doesn't have a simple solution, they not only help me fix it- they teach me how to do it better, faster, and more accurately next time. They're the best! I dislike that I can't come up with a reason for talking with them more. It's great that they've helped me work through all my hurdles. Most email marketing platforms have generally the same capabilities- when evaluating which company to go with I suggest finding ways that a really great company sets themselves apart. Inbox25 sets themselves apart by providing the absolute best customer service I've experienced in any industry, and the easiest way to work through issues with tech support. There is no downloading other programs in order to get them to interface with your process, or waiting on hold for 20 minutes while they try to find someone who can "better assist you". Their team is fast, and knowledgeable. When the idea is to get the biggest bang for your buck, these guys make it happen. Our company is trying to solve this problem: How can we better reach potential customers in the fastest, most adaptive way possible. Inbox25 has helped us devise strategies and create process flows that allow us to make more contact with potential clients, and truly tailor our responses to their activity. "Great system for everyday use"
The system can occasionally run slightly slower then I would like. Have been able to easily implement customer workflows and introductory email campaigns while also managing day-to-day email activity. "My team for an event used it extensively and thought it was helpful"
Great support for generating potential leads and helping convert future clients by their visits on the website. Reduces data redundancy and saves time. Even though it has phenomenal features, it has a steep learning curve and takes a while to get accustomed to. This may be problematic for beginners. Adding more customers and increasing sales. "We used inBox25 with SugarCRM"
Native integration with SugarCRM. Great customer service. Platform was very stable and had an easy to use interface. Nothing. It did everything we needed it to do. One concern was how long it took to stand up. * We monitor all inBOX25 reviews to prevent fraudulent reviews and keep review quality high. We do not post reviews by company employees or direct competitors. Validated reviews require the user to submit a screenshot of the product containing their user ID, in order to verify a user is an actual user of the product. Hi there! Are you looking to implement a solution like inBOX25?